Johnny Unitas, Peyton Manning & &rew Luck 12''x15'' Legacy Collection plaque features an NFL-licensed 8''x10'' photo depicting the team's top stars. 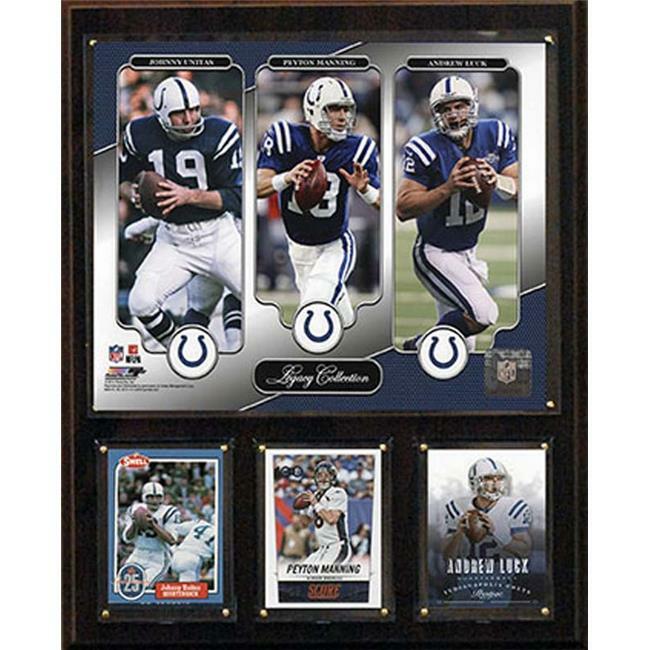 Also included on the plaque are Three official trading cards of Colts legacy stars. The deluxe cherry wood plaque is perfect for displaying in any room of the house or an office. Superior, high-clarity acrylic lens covers firmly affixed to the plaque with brass-type screws protect both the photo & trading cards. This is a great item for any fan. All cards are easily replaceable with ones from your own collection. The plaque is proudly produced & assembled in the USA.